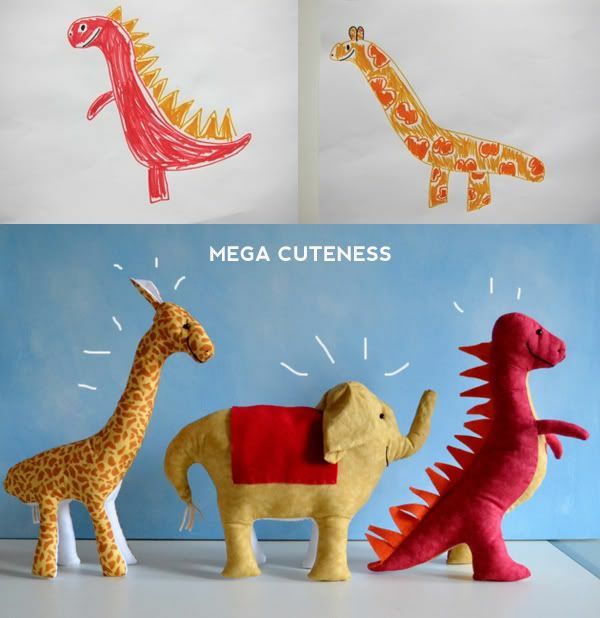 Turn Cute Kiddo Art into Even Cuter Plushies! This is fabulous. And it was part of my links that are coming up in a bit….but I had to give them their own post so you could see ’em in all their glory. 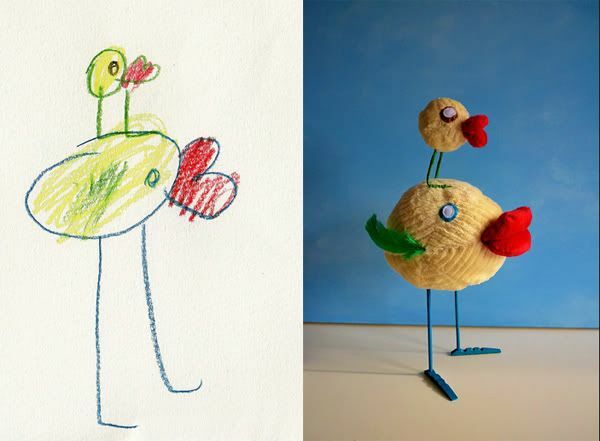 Childs Own will take a drawing and transform it into a one-of-a-kind stuffed animal. 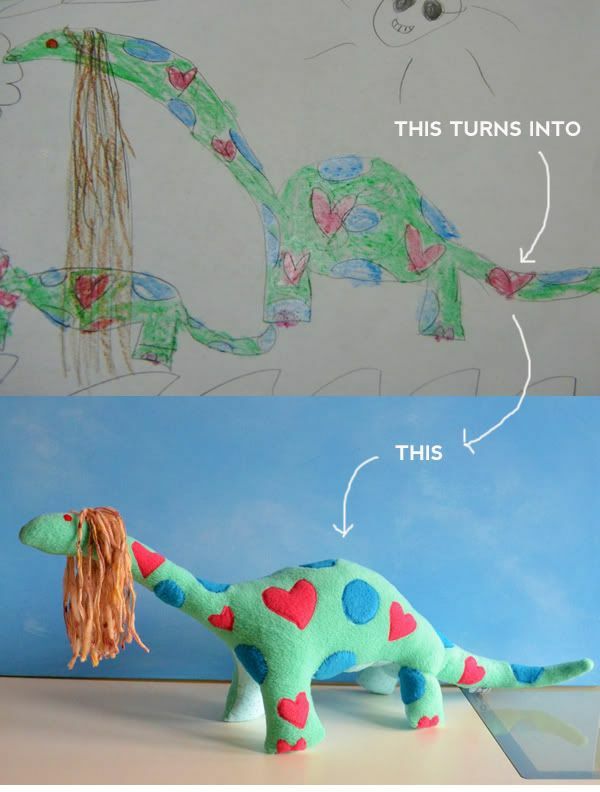 I think it would make such an amazing gift for a little kiddle. Of course, Martha Stewart shows you how to do it yourself, so if you’re ambitious you can give it a go! See how over here. Can you stand the cute? Do you have a favorite kiddo drawing you’d like immortalized? I would have LOVED this as a little girl! Posted in Art + Design, Things We Like. How cool! Thanks for posting this. Holy crap! That is amazing. So far Molly hasn’t drawn anything spectacular, but man. When she does. Okay, that is one of the best ideas *ever*.